Would you like the confidence of knowing your clients/prospects will always be professionally greeted and attended to when they call you? Do you feel tied down having to always be available to answer phone calls during business hours? Is the constant interruption of having to answer calls, and filter out genuine callers from spammers and salespeople, taking time away from what you should be doing? Are you missing important calls (or misplacing messages scribbled on scraps of paper!) while you are in meetings, out on the road or grabbing a bite to eat? Would you like to have someone handle your calls and pass on the messages so that you can respond at a time that suits you? Do you need to get away for a holiday or a business trip for a week or two, but wish you had someone reliable to “mind the phones” while you are away? If you answered Yes to any of these questions, Call Answering may be just the virtual office service you are looking for! Our staff record the caller’s name, contact details and any brief message and email the details to your specified email address(es). Or, based on your instructions, certain callers or call types can be forwarded to other phone numbers that you specify. In the case where calls are transferred to you or your staff, we will first inform you who it is that’s calling, giving you the option to take the call if you wish or have us go back to the caller and take a message instead. Such an arrangement can be ongoing (where we receive all your calls or where you divert your phone(s) to us when you are unavailable) or a one-time scenario (e.g. you are taking a two week holiday over Christmas). Why do I need a Call Answering service? Relieve yourself or your staff of the “obligation” to always be available to take a call. Rest assured that all calls will be answered, and that you’ll never miss an important call again (or have to answer it at what always seems to be an inopportune time). More frustrating than being disrupted from your real work by a phone call, is to take the call and find out that it is someone trying to sell you something, a telemarketer doing a survey, a wrong number, etc. Wouldn’t it be great to never be disrupted by such calls again? Efficiency experts have long maintained you are best to go “offline” (from phone calls, emails, and other such distractions) when you need to get work done, by setting aside dedicated times during the day when you make calls and follow up on calls that have been received. This ensures you are being responsive by allocating time specifically for this purpose, but even better, it is working smarter by taking charge of phone interactions, rather than being dictated to by the whim of callers. It also provides you the opportunity to get in the right frame of mind and be fully prepared for following up with the callers. Value of speaking to a person. In this age of email, SMS, chat, tweets, etc, the tremendous value – for both the caller and your business – of a phone conversation cannot be underestimated. It is immediate, it is interactive, it is free-flowing: short of having the person standing in front of you, it is your best means of engaging and building rapport with a prospect or client. The fact that the caller has gone to the effort of phoning, means this is the kind of interaction they are wanting. Invariably, this leads to a frustrated customer or a potential customer who instead moves on to call your competitor. Professional and consistent handling of calls. Having your calls answered by a person is the first step in making your caller feel valued; having the calls answered in a professional, polite and consistent manner presents an image of being larger than you might otherwise be perceived and gives the caller confidence that their enquiry or request will actually be addressed. By contrast, what perception do you get when you call a business and the person on the other end doesn’t clearly identify themself or the business name, is drowned out by background traffic noise, barking dogs or squabbling kids, or is scratching around to find a pen or some paper. You are serious about your business – make sure that is the impression your callers are getting! While many calls may require a message to be passed to someone who is better equipped to follow up with the caller, it is often possible to address many callers’ queries on-the-spot. 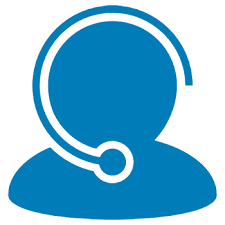 Although it will vary based on the type of business, many calls can often be resolved by our staff directly, if we have been provided with the relevant information (much of which is often available on the business’ website). Questions relating to location, contact details, opening hours, “Do you do…? / Have you got …?”, pricing, availability, and other basic product or service details, can typically be answered immediately. It’s a win for the caller with a successful call outcome, and a win for you: satisfying a customer’s request without even lifting a finger.